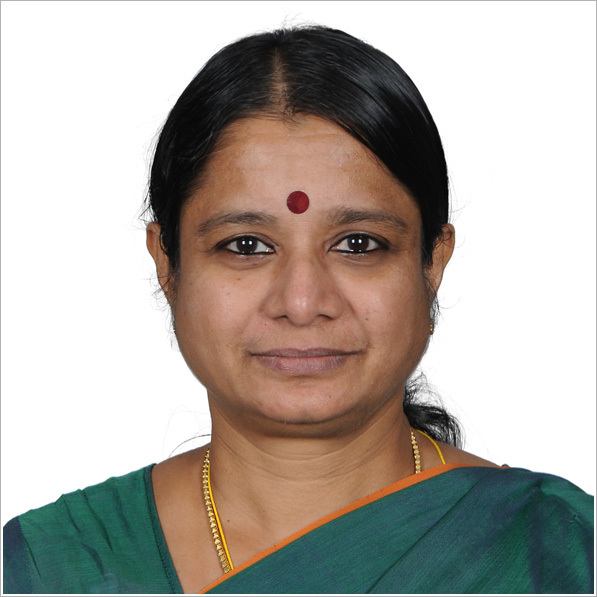 Mechanical Engineering at IIT Madras » Dr. Sujatha, C.
Dr. C. Sujatha received her PhD from IIT Madras. She has been a faculty at IIT Madras since 1984. She has guided 10 PhD, 21 M.S. (Research) students till date. Her research interests include vehicular vibrations, condition monitoring, signal analysis for mechanical systems. Amarnath, M., Sujatha, C., Surface Contact Fatigue Failure Assessment in Spur Gears Using Lubricant Film Thickness and Vibration Signal Analysis (2015) Tribology Transactions, 58 (2), pp. 327-336. Prabakar, R.S., Sujatha, C., Narayanan, S., Response of a quarter car model with optimal magnetorheological damper parameters (2013) Journal of Sound and Vibration, 332 (9), pp. 2191-2206. Janarthanan, B., Padmanabhan, C., Sujatha, C., Longitudinal dynamics of a tracked vehicle: Simulation and experiment (2012) Journal of Terramechanics, 49 (2), pp. 63-72. Ganesh Babu, K., Sujatha, C., Track modulus analysis of railway track system using finite element model (2010) JVC/Journal of Vibration and Control, 16 (10), pp. 1559-1574. Prabakar, R.S., Sujatha, C., Narayanan, S., Optimal semi-active preview control response of a half car vehicle model with magnetorheological damper (2009) Journal of Sound and Vibration, 326 (3-5), pp. 400-420. Amarnath, M., Sujatha, C., Swarnamani, S., Experimental studies on the effects of reduction in gear tooth stiffness and lubricant film thickness in a spur geared system (2009) Tribology International, 42 (2), pp. 340-352.